My Chicago friends, this is for you! Do you ever wonder what you should do over the weekend? You’re bored and want to make plans but have no idea what’s even going on. Even though the city is huge and there’s SO much to do, we always end up doing the same thing over and over again. And I’m SO over being invited to the club all the time. Having worked in the nightlife industry, most of my Facebook friends are still in that scene and 95% of the Facebok event invites have to do with some nightclub event. Not my thing anymore. Meh. I DO, however, want to do fun things… happy hour? Wine tasting? A fun fitness class? Or something else that’s new and unique and exciting? Sign me up. I recently had the pleasure of checking out this new app ‘Sosh’ that is brand new to our beautiful city. They are already popular in such large metro areas like NYC, San Francisco, and Seattle. Actually, nearly one out of every 6 adults in San Francisco is a Sosh member, according to the press release I read. Say wha?! That’s awesome. As you can imagine my expectations were pretty high after reading this. Like, seriously? I don’t know… Sounds kind of too good to be true. Blown away by the beautiful user interface and design. I’m a highly visual person, as a natural artist and photographer, so I was drooling over this. Also, the user experience itself was very smooth and easy to navigate. I loved it! More about the app? 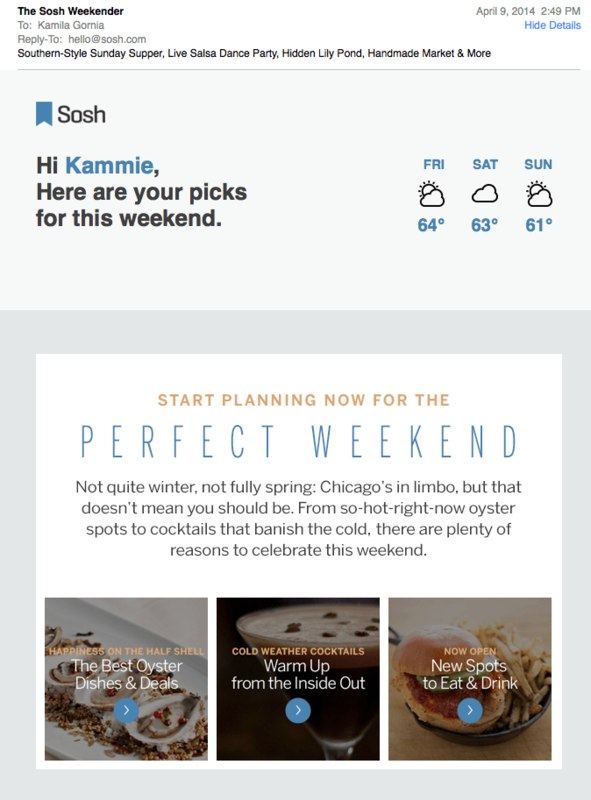 Well, Sosh uses technology to continually keep an eye on the city’s hottest trends, and most unique activites and events. Every activity is vetted by local tastemakers (like, REAL people) who are either on-staff experts or well-known locals. Sosh then recommends things to do that are personalized to each member’s interests, habits, and a host of other factors including the time of day, day of the week, and the WEATHER OUTSIDE (THANK YOU!!!). What sets Sosh apart is that it doesn’t simply give its members a directory of local venues. Instead, it curates the city’s best events and activities, from a pasta-making class with a famous chef to cocktails at a new speakeasy, or the perfect itinerary for a first date. Umm… hello new favorite app?! It came at a perfect time too, the weather is getting nicer outside and I’m definitely going to be more interested in doing stuff. My mind has been SO busy with work and business, I need some time for myself. Sosh is totally free to sign up! ▪ If you’re on the computer, CLICK HERE to sign up on the web. ▪ If you’re on your phone, CLICK HERE to download the app. 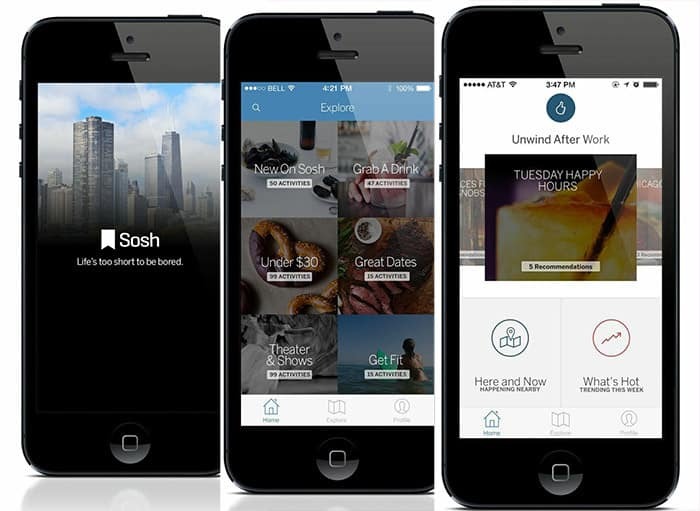 Have you used the Sosh app before? What is your favorite fun activity out on the town?